Following his imaginative style of design, the Sea Trail Byrd Course is built around seven man-made lakes ranging from 14 to 20 acres where each hole is most memorable for beauty and exacting play. 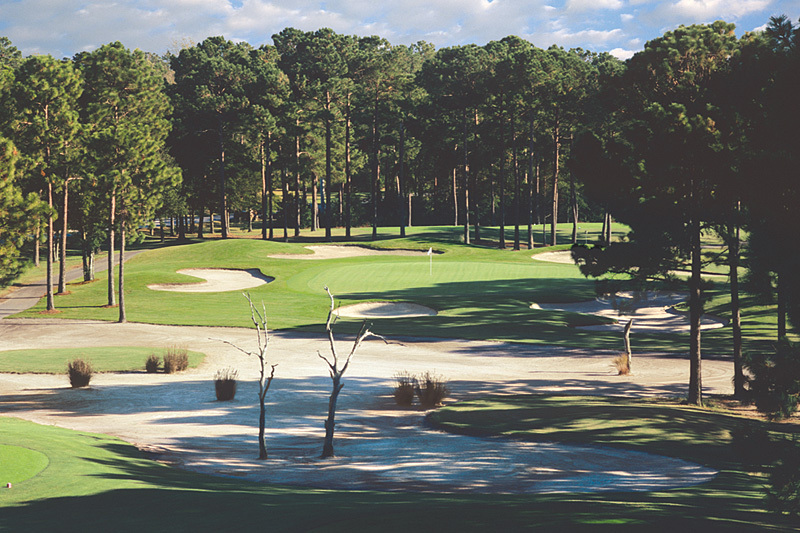 The waste areas on the Sea Trail Byrd Course, along with mounding and pot bunkers, require that every hole be approached both differently and strategically in order to reach Byrd’s undulating greens. A picturesque 18th hole, flawlessly placed between two ponds, finishes the course at the Jones/Byrd Clubhouse. Reserve golf course tee times and golf packages north of the Myrtle Beach area for the Sea Trail Byrd Course with On the Green Magazine.